Twisted Coir is made out of matured brown coir fibre. The products made out of twisted coir are coir mattress, coir cushions, rubberized coir pads, carpet underlays, seat cushions & for insulating drainage pipes. It is picked in coils of 30 kg or in various weights. 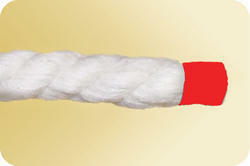 Being a customer oriented enterprise, we are engaged in providing a wide array of Twisted Cotton Rope. Sakambari Cordage Company Pvt. Ltd. 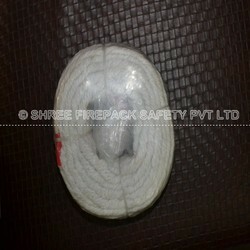 Backed by a rich industrial experience, we are engaged in offering a commendable array of Cotton Twisted Rope. We manufacture a range of nylon twisted ropes that are used in power looms as a replacement of V-belts. These are also used in sewing machines for spinning mills in the place of cotton ropes. Our nylon twisted ropes are also used in engraving machines etc.